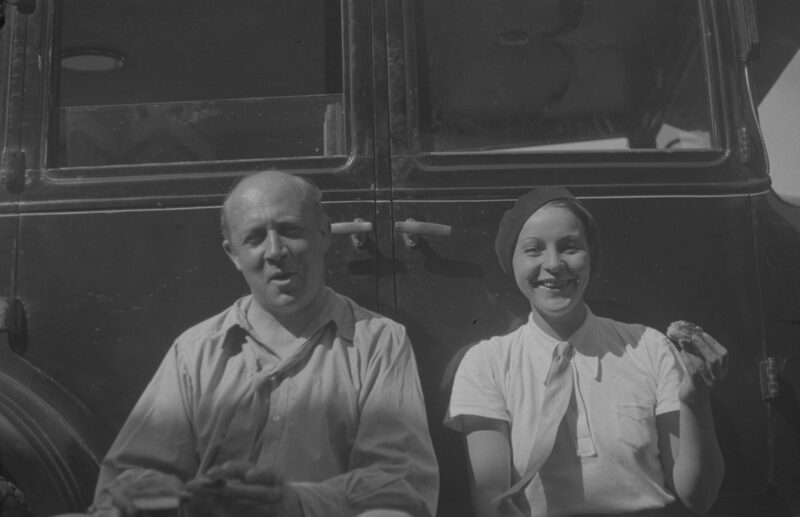 Norwegian actress and singer Tutta Rolf had her breakthrough in Sweden in the early 1930s. With her chirpy voice and comedic talent, she became SF Studios’ biggest female film star at the time. 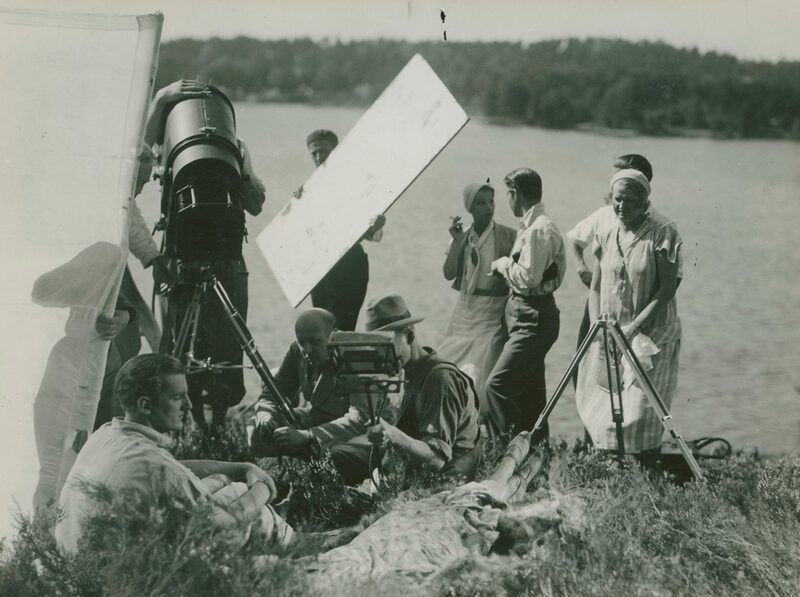 Although she only worked in the film industry for seven years, she made a great impression on the Swedish public in the 1930s. 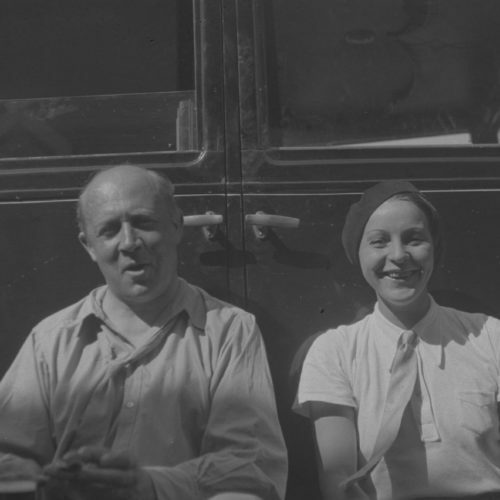 Before her film debut, Rolf had worked in variety shows, on her own in Oslo and alongside alongside her husband Ernst Rolf in Stockholm variety leading lady. 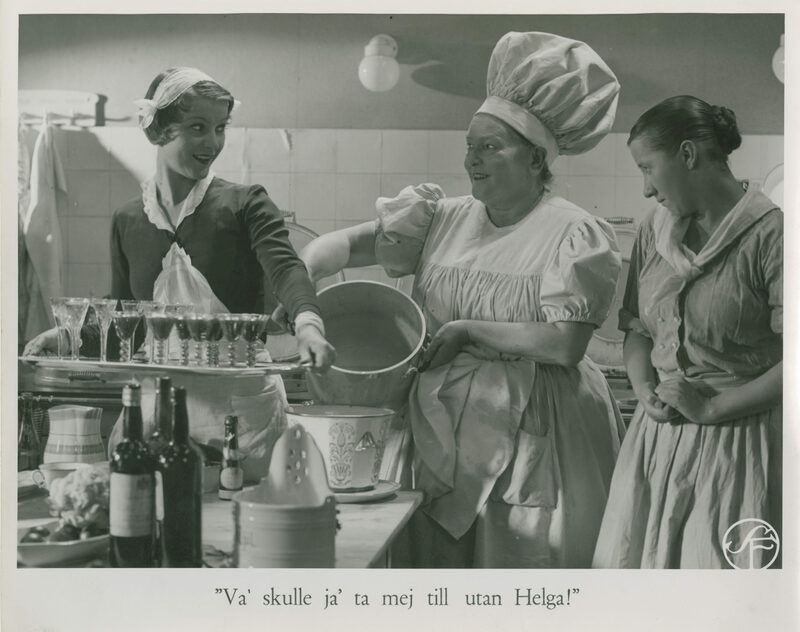 After a role in the Scandinavian version of the cavalcade film Paramount on Parade (1930), she made her feature film debut. 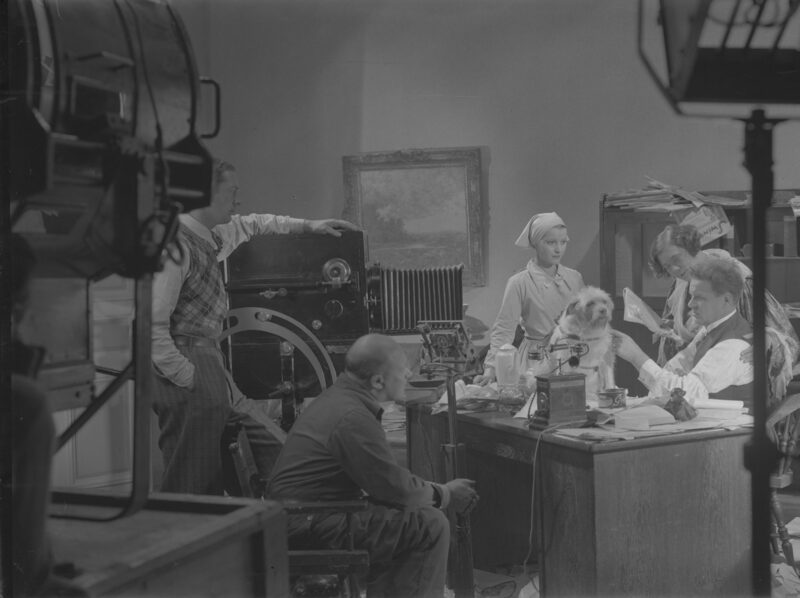 Since 1930 there had been a rumour of a Hollywood contract, but in 1932 she joined SF Studios and came to be one of their most popular contract players for all of her short film career. Rolf, who had earlier been seen as the most obvious star in Swedish film since Greta Garbo, would now follow in her footsteps. 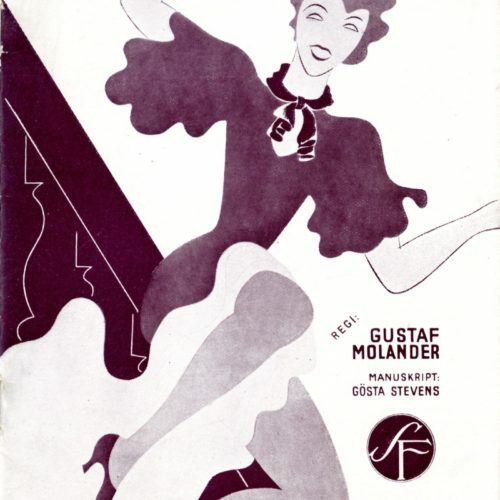 Her first film for SF Studios was Gustaf Molander’s Love and Deficit (1932), the first of many collaborations between the director and the star. It was, however, their second film together, Servant’s Entrance (1932), that cemented Rolf’s status as a film star. 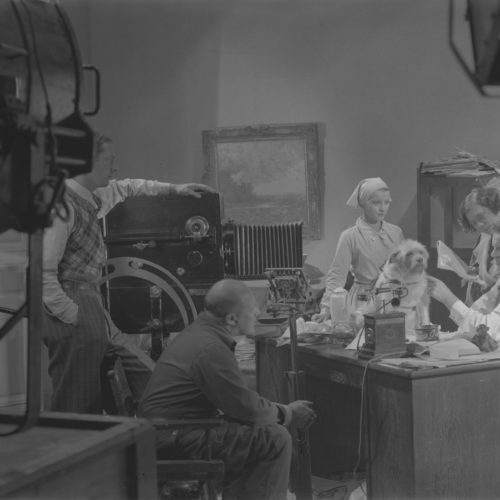 Servant’s Entrance broke audience records and became greatly influential for SF Studios’ continued production in the 1930s. 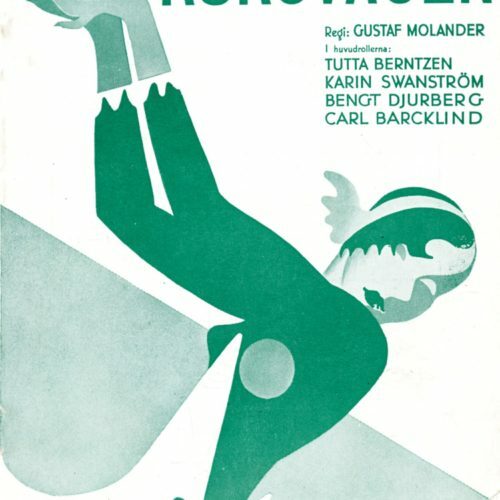 Most of Rolf’s films after her breakthrough followed roughly the same formula: elegant cocktail comedies directed by Molander with songs by Jules Sylvain. Her films were tailor-made to suit her star image as the modern young woman. Since she was also a popular recording artist, she sang in almost every film and these songs were then used to market the movies. 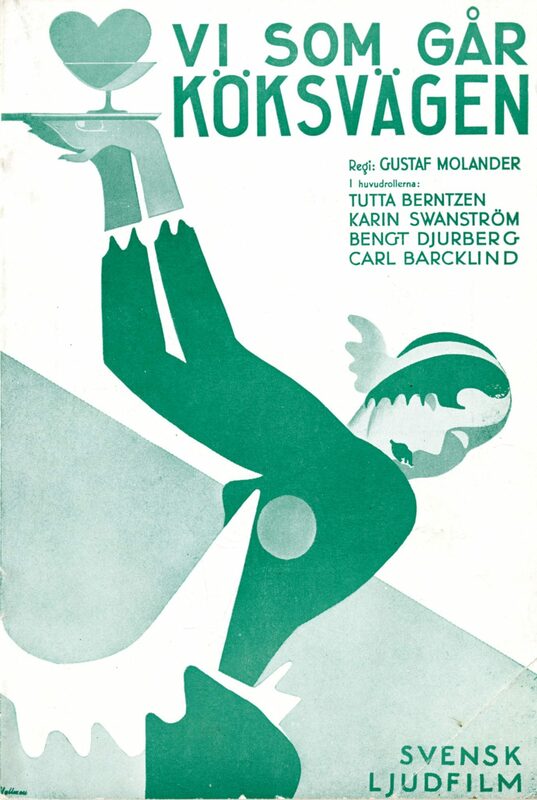 Rolf is also remembered for comedies including Dear Relatives (1933), A Subtle Flirt (1934) and Sara Learns Manners (1937), all directed by Gustaf Molander. 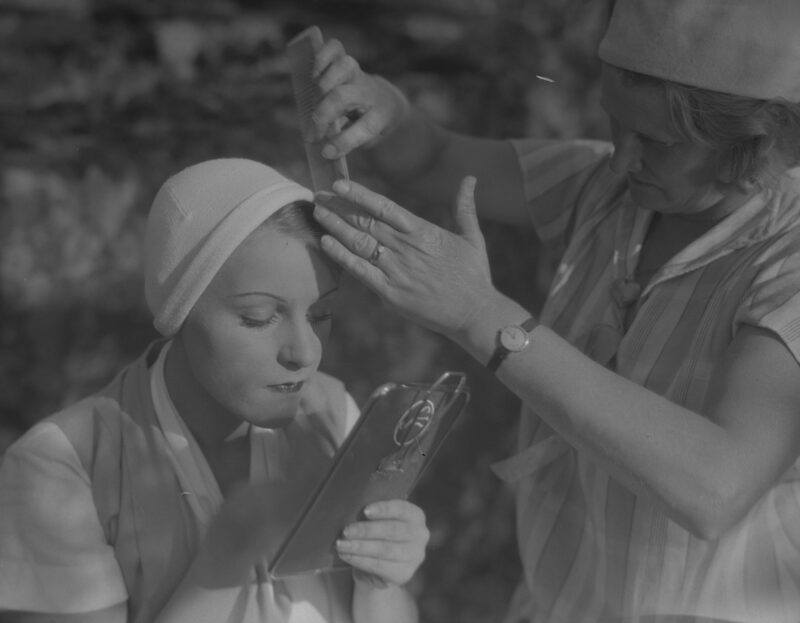 In addition, she worked on the stage and in 1934 gave an acclaimed performance as Ophelia opposite Gösta Ekman in Hamlet. Later in her career, she tried more serious film roles, as in Dollar (1938), but this direction was short-lived. 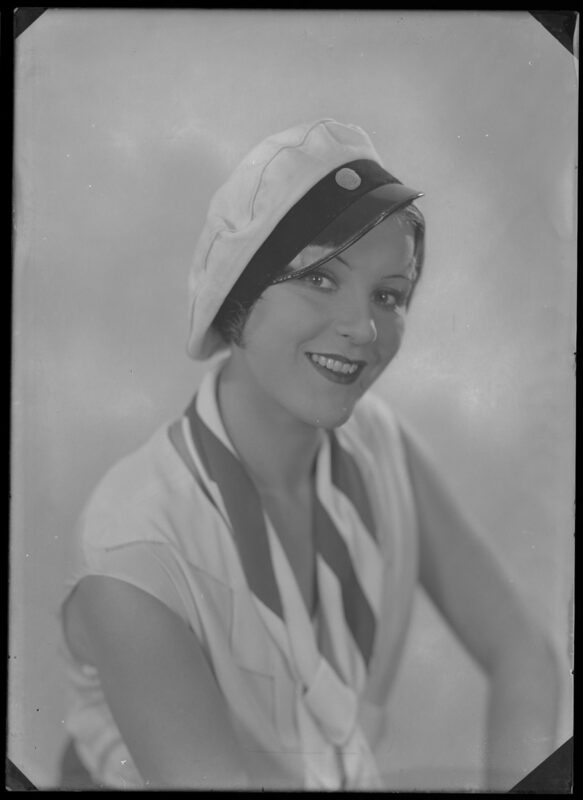 In 1939 Rolf gave her final performance in the big budget film Whalers. 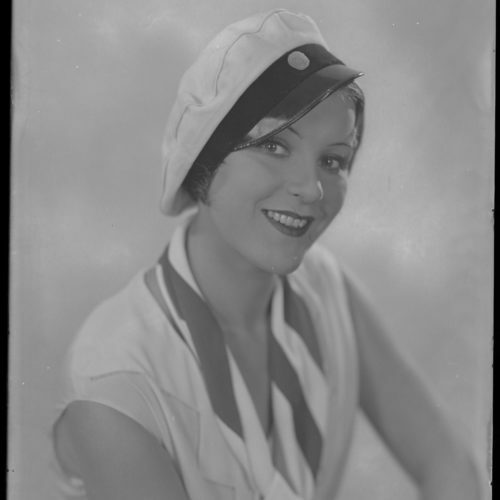 Rolf was at the apex of her career in 1934. She was a popular film star, theatre actress and re-cording artist. A bold face name in the newspapers, she was offered a contract with Fox Film in Hollywood. 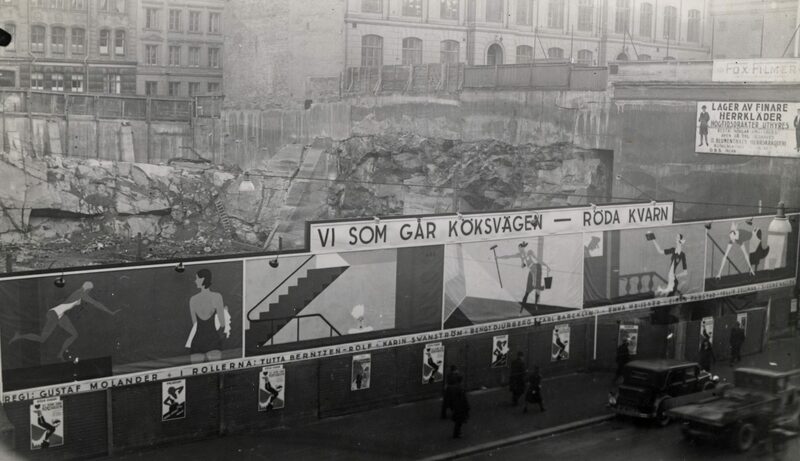 Rolf, who had earlier been seen as the most obvious star in Swedish film since Greta Garbo, would now follow in her footsteps. Expectations were sky-high in Sweden, but when she went to the city of dreams she was typecast as a vamp, a complete contrast to the characters she’d played in Swedish films. 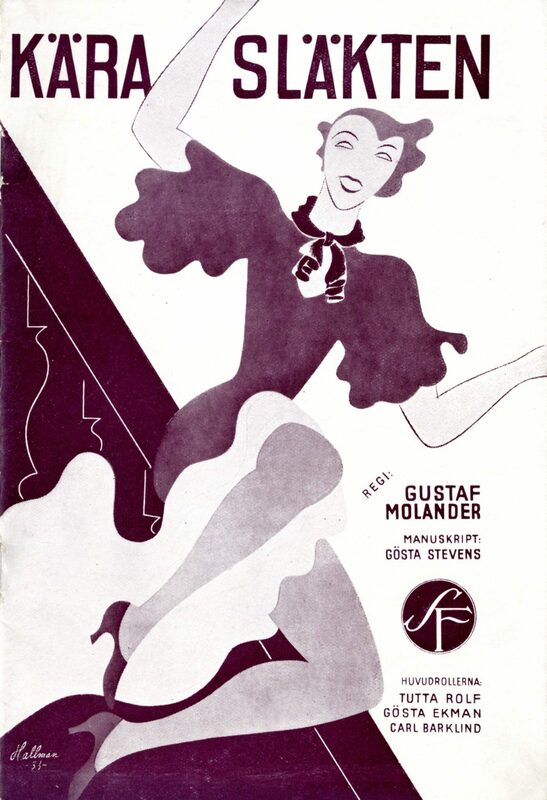 Her one Hollywood film, Dressed to Thrill (1935), flopped and so Rolf returned to Sweden, where she was welcomed with open arms. 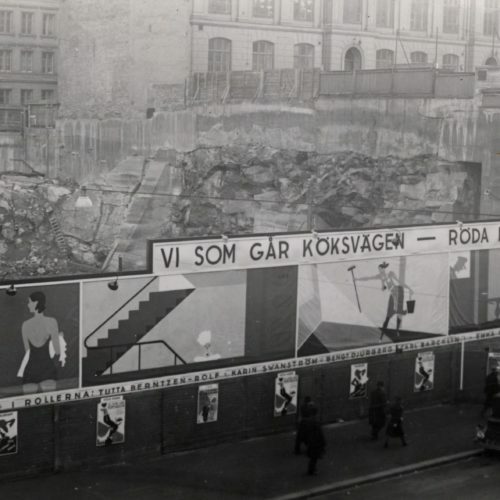 Despite the Hollywood disappointment, it’s impossible to deny Rolf’s importance in the 1930s. 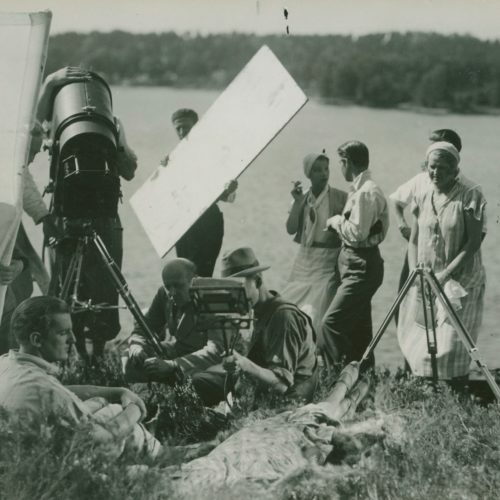 Her films made her a star but she worked in many different parts of the Swedish entertainment business. 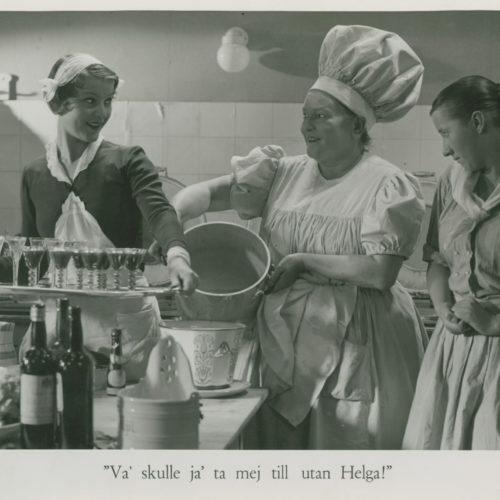 She was one of the few actresses in Sweden who could boast of having a leading role in almost all films and still manage to be a draw for audiences. It’s notable that many of her films were marketed as “The Tutta Film of the Season,” proof that her name could open a film.